The Oklahoma Sooners football team represents the University of Oklahoma in NCAA Division I FBS and the Big 12 Conference. The Oklahoma Sooners football program began in 1895 and is one of the most successful college football programs in the nation. OU has won seven national championships and forty-two Big 8 and Big 12 Conference championships. Oklahoma holds the record for the longest winning streak in NCAA Division I football history with 47 straight victories. The Sooners are coached by Bob Stoops and play home football games at the Gaylord Family Oklahoma Memorial Stadium in Norman, Oklahoma. The official site of Oklahoma Sooners athletics is SoonerSports.com. The Oklahoma Sooners head football coach is Bob Stoops. Learn more about Coach Stoops, here. The University of Oklahoma, known as OU, is a coeducational public research university located in Norman, Oklahoma. Founded in 1890, OU was created in the Oklahoma Territory, near Indian Territory, 17 years before these territories were joined to become the State of Oklahoma. The University of Oklahoma currently has an enrollment of over 30,000 students. Visit the University of Oklahoma website at ou.edu. SoonerSports.com has a detailed collection of OU football information including traffic tips and directions, Oklahoma Memorial Stadium parking, OU Sooners Gameday activities, and University of Oklahoma maps. The Gaylord Family Oklahoma Memorial Stadium is the home of the Oklahoma Sooners football team. Oklahoma Memorial Stadium opened in 1925 and currently seats 82,112 Sooner fans. 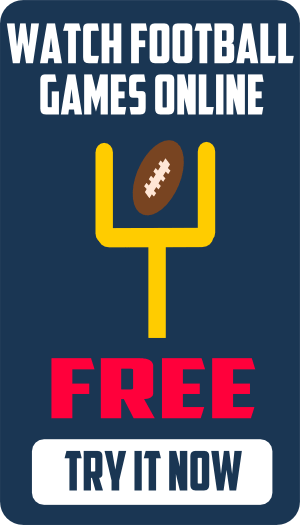 Get the best prices on tickets to University of Oklahoma football games. You can comparison shop at one place online all the major sporting event ticket outlets at Big 12 Football Tickets. We offer the cheapest prices on Oklahoma football tickets. Get access to all Big 12 football games, highlights, and replays on Big 12 Football Online. Watch Oklahoma football games on ESPN and FOX Sports. 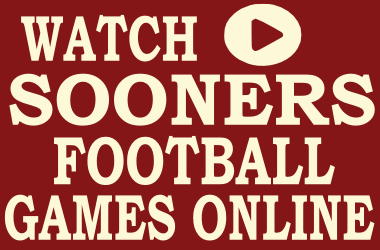 Find out where to watch Oklahoma football online. Visit Big 12 Football Online to watch the Oklahoma Sooners football game online. The Oklahoma Sooners football team opens the 2014 football season with a game against Louisiana Tech. View the 2014 Oklahoma football schedule at the 2014 Big 12 Football Schedule Grid. The Oklahoma Sooners football team mascot is the Sooner Schooner. The Sooner Schooner is a Conestoga wagon pulled by two white ponies, named Boomer and Sooner. Learn more about them at Oklahoma Sooners mascots and traditions. Boomer Sooner is the University of Oklahoma fight song. Oklahoma!, OK Oklahoma, and OU Chant are popular OU Sooners songs. Download free Oklahoma Sooners ringtones at our Oklahoma Sooners fight song ringtones page. Download Oklahoma Sooners football wallpaper for cell phones and computers and OU screensavers at our free Oklahoma Sooners wallpaper page. The most popular message board forums for Oklahoma Sooners football are the huge SoonerFans.com, Sooner Scoop, and The Schooner. Sooner Stats…Unofficial athletics stat keeper of the University of Oklahoma. Blatant Homerism…Unobjective analysis of Oklahoma Sooners. Crimson and Cream Machine…A site for Sooner Fans by Sooner Fans. SoonerScoop.com…OU Sooners sports coverage from Rivals.com. Sooners Illustrated…Oklahoma Sooners Football updates from Scout.com. Oklahoma Daily….Official student newspaper for the University of Oklahoma. NewsOK…Oklahoma Sooners sports from the Oklahoman. Norman Transcript…Hometown OU Sooners sports coverage.